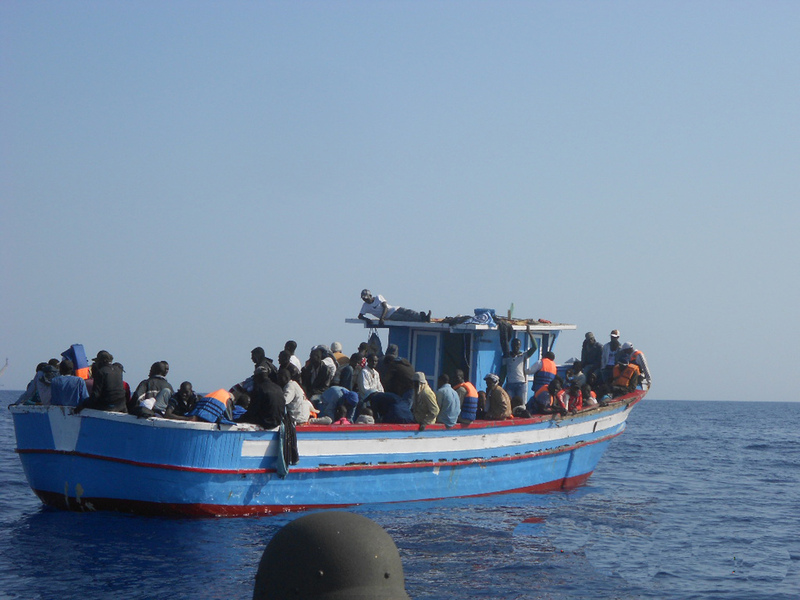 ECRE last week published an interview with Ms Tineke Strike regarding the PACE Migration Committee’s ongoing investigation into the almost 2000 migrant deaths that have occurred in the central Mediterranean this year. The Committee is focusing in particular on the incident that occurred in late March 2011 when unknown ship(s) and aircraft observed and then failed to rescue a disabled migrant boat. Approximately 60 persons subsequently died. “[***] What are the main findings of your report on the death at the Mediterranean so far? We have spoken with survivors and with the priest who received the request for assistance from the boat in distress, Italian border guards, and the Italian refugee agency, as well as the Italian Refugee Council (CIR), a Member of ECRE. We also talked to different people in Brussels, including NATO, the ambassador of the Council of Europe, Amnesty and several MEPs. Today, during the PACE hearing on November 30 in Paris, we had a discussion with a number of experts in international law, Frontex, UNHCR and ICRC. All in all a lot of information has been gathered. We have already sent requests for information to find out via satellite maps and logs if there were boats near the distressed boat Once we know under which flags these boats were sailing, we will be able to track which governments might have been responsible and ask them whether they knew that the boat asking for help was in danger or not and how they acted upon that information. We are actually still waiting for information for this information. It is unfortunate that it takes time to get this information but we are trying to get hold of it through different channels. We have approached High Representative Ashton and asked for her consent to provide us with information from the European Satellite Centre. We have already used this kind of information at the Council of Europe, for example to detect the illegal detention centres that the CIA was using. We therefore hope that Ashton once again will cooperate. We also asked NATO to provide us with information and have asked all the countries who took part in the NATO action in Libya and who had ships in that region during that period to give us data on where their boats were and when. NATO has promised to request the Member States to provide us with this information, also if these boats were not under the command of NATO. If this does not succeed, we still have our own national parliamentarians that could push their governments in their own country if it is necessary to gather the information. If countries were involved they might not want to admit that, which makes my position difficult. I am not a judge and I don’t have enforcement powers so I’m partly dependent on the cooperation of various parties. But I think all parties can benefit from transparency on what has happened, in order to avoid such tragedies in the future. How do you think the EU has responded to the turmoil and war in North Africa and, in particular, the following displacement of people in the region and the arrival of some of them to Europe? In my report following the protests in North Africa, we see that by far the largest part of the people who have fled Libya went to Tunisia and Egypt. There was a lot of fuss in the EU about the 25,000 who eventually fled to Italy. Tunisia took half million, Egypt took a half a million which shows how big the contrast with the EU was, especially considering that Member States were reluctant to resettle refugees from camps in Tunisia. This while Tunisia and Egypt were in a very vulnerable position in the post-revolutionary period. If we really want to help and strengthen stability in the region, we must show these states that they are not alone. These countries generously opened their borders, they understood the situation of the people there and to a great extent we stood aside and just watched. Then we failed to help out Italy and Malta, especially when countries like France and Denmark wanted to close their borders. This shows exactly how much we are still not politically ready for a common asylum system. We provide beautiful public statements but when it comes down to it, Member States do not want to lose their sovereignty or be troubled by developments elsewhere. I do not think you can have both: either you have a joint system and you show solidarity, or you close all the borders and reinvent the wheel. Common policies go hand in hand with solidarity and in fact we should look beyond the European borders. What you see now is that border controls at the external borders of the EU continue to shift to North Africa and sometimes even further. One cannot claim that our responsibilities only begin when people have reached our territory. I was therefore very disappointed when the European Commission replied to a question by MEP Hélène Flautre on this incident saying that the boat was in Libyan waters and therefore they had no power to get involved. If certain acts like push backs at high sea or bilateral agreements with unsafe third countries such as Libya, lead to death or inhumane treatment, EU member states or other countries of the Council of Europe are accountable for a violation of the European Convention on Human Rights. In that sense I have high expectations of the decision of the ECHR in the case of Hirsi and others v. Italy. What do you think the impact of your work and the investigation will be? I hope the report will raise the awareness of the international obligations and also the awareness of the importance of avoiding such tragedies. It is important that violating the obligation to rescue does not remain unmentioned or lead to impunity. If we succeed in proving which actors were wrong. Member States will be more careful and there will be more pressure to cooperate and share the responsibilities, and to establish practical and binding solutions. Being a parliamentary assembly of national parliamentarians, I also hope that the discussion will also take place in Member States. I find it really outrageous that such a tragedy can occur so close to our borders and that we have been so silent about it. I have sought additional information from NATO and PACE regarding the 29 November hearing held in Paris by the PACE Migration Committee regarding the deaths of boat people in the Mediterranean. I was informed by a PACE official that the minutes of the 29 November hearing will be released during or after the Committee’s next scheduled meeting which will take place in late January 2012. The reference to the 26 March incident presumably relates in part to the Canadian warship, HMCS Charlottetown, which made contact with a disabled migrant boat carrying over 250 migrants on 25 March. 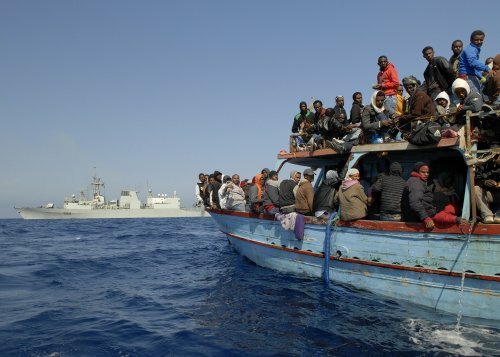 The Charlottetown provided food, waters, and repairs to the migrant boat and escorted it until 26 March when the Italian Coast Guard arrived on scene. As far as I can tell from news reports from the time of this incident, there was only one migrant boat involved. NATO’s current statement indicates there was a second migrant boat encountered by NATO at this time. Click here and here for my previous posts on the March 2011 incident. 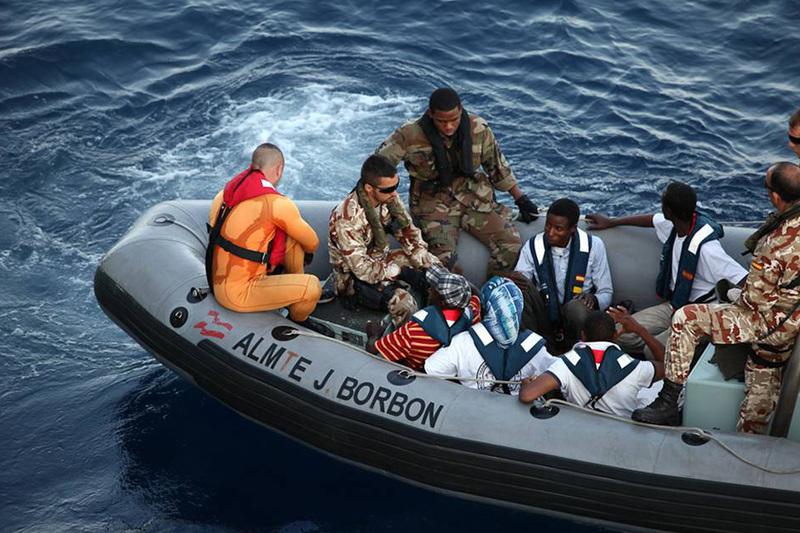 The 10 July incident relates to the rescue of over 100 migrants by the Spanish Navy frigate, the Almirante Juan de Borbón. The rescued migrants remained onboard the Spanish frigate for six days after Malta and Italy refused to permit the NATO ship to enter port to disembark the rescued migrants. The migrants were transferred to a Tunisian navy ship on 16 July and presumably then taken to Tunisia. Click here and here for my previous posts on the July 2011 incident. Neither of these two incidents relates to the events that occurred between 25 March and 10 April 2011 when a disabled migrant boat drifted for days during which time approximately 60 persons died. Survivors from the migrant boat reported that at various times military ships and helicopters ignored their requests for assistance. The Guardian reported extensively on this subject and the PACE Committee has been seeking information from NATO about this particular incident. Click here and here for Guardian articles. Click here for my last post of the PACE 29 Nov. hearing. HMCS Charlottetown and migrant boat 25 March 2011. Spanish frigate Almirante Juan de Borbón rescuing migrant boat on 10 July 2011 and transferring migrants to Tunisian navy vessel on 16 July 2011. The PACE Committee on Migration, Refugees and Population, in connection with the preparation of a report by Ms Tineke Strik (Netherlands, SOC) on the deaths of boat people who have died in the Mediterranean, conducted a hearing in Paris on 29 November. NATO officials who met with Ms Strik in Brussels before attended the hearing reportedly agreed to provide additional information, which might include satellite imagery, to the PACE Committee. Click here for my last post on the topic.